Being in front of the camera for most of her time is probably one of the reasons on why the main dancer of Blackpink is so obsessed with photography. The DDU-DU-DDU-DU singer is not only a terrific dancer and an outstanding rapper. Her interest in photography has actually been proved with many well-self-taken pictures that she published through her official Instagram @lalalalisa_m. Mostly taking her members, cats and herself as the objects of her portraits, Lisa is supported by some high quality cameras that she owns—which turned out to be surprisingly expensive. 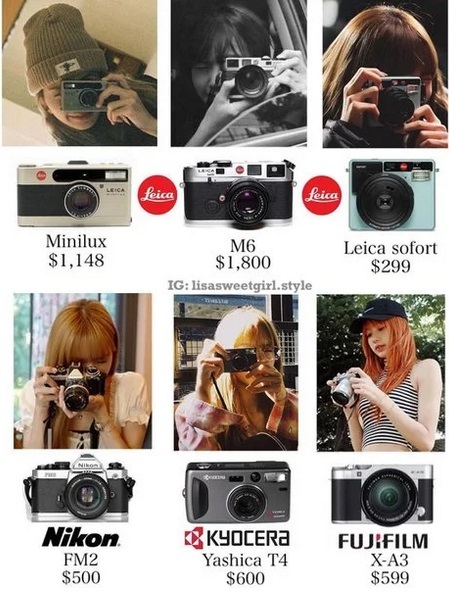 Lisa is also owning a very high-priced camera which is said to cost 21k USD or about about Rp 278 million. Through her thousand-dollar camera we definitely looking forward to see more of her self-taken pictures.